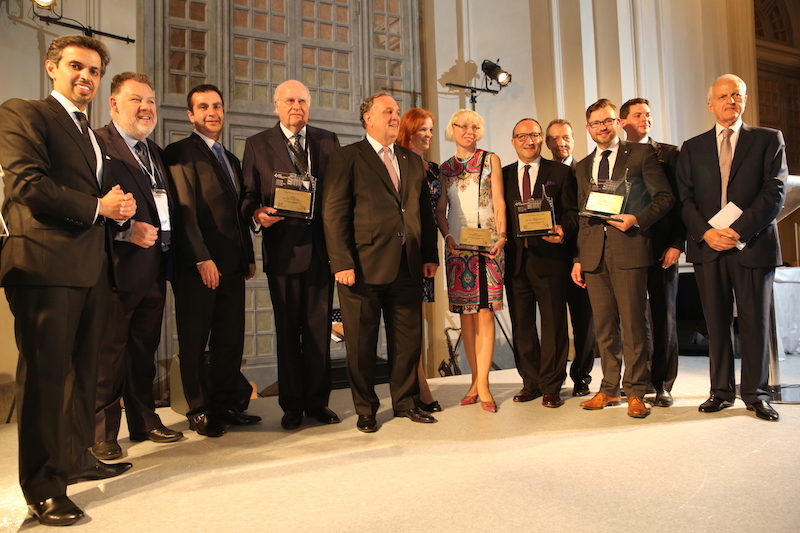 Winners of the 2015 World Chambers Competition were announced during a gala dinner concluding the 9th World Chambers Congress which took place in Torino last month. Seventeen finalists were recognized by the chamber and business community for their outstanding achievements with four chambers going home with winning trophies. Finland Chamber for their Best Corporate Social Responsibility Project showing that the business sector can take the lead in promoting women business leaders. Calgary Chamber for their Best Unconventional Project to help businesses get back on their feet following a catastrophic flood that affected much of the southern half of the province. Kocaeli Chamber for their Best Job Creation Project creating job opportunities for disabled workers and helping them integrate more fully into society as a whole. The 2015 Competition received entries from 79 chambers coming from 39 countries around the world. The 17 finalists presented their innovative projects to an international judging panel during dedicated Congress sessions. “Each of these projects is unique,” said Mahendra Sanghi, moderator of one of the Competition sessions and a Vice-Chair of the ICC World Chambers Federation. Each showcased originality and ingenuity, demonstrated determination to strengthen SMEs and their communities, and has helped improve the chamber’s services to members thanks to project implementation. Each winning chamber took home €3,000, generously donated by Competition sponsors the International Business Festival (IFB) and MK Sanghi Group. Click here to learn more about the winning projects. Visit the 9th World Chambers Congress website for more information. Photographs from the event which took place at the Venaria Reale palace on 12 June can be viewed here and here. Follow the 9th World Chambers Congress on Twitter at @worldchambers and #9WCC.